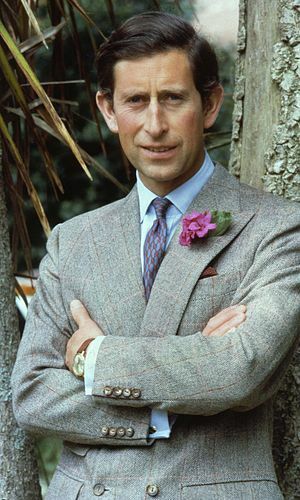 Of Royal Babies and Birthday Bilbies. I don’t usually post twice in a day, but only fools never change their habits. The 22nd of July was a historic date. It is the date of birth of a very important person. I am of course talking about my littlest little sister, LLS, who hit the age of 30 on Monday with both feet firmly anchored in childhood. However, a lady called Kate decided to give birth in London on the same day, and took the media coverage right away from my littlest little sister’s claim to fame for the day. So for what it’s worth, I’m putting the news out to the world: LLS hit thirty on the 22nd, and she rocks my world more than the royals could ever do. So happy birthday, littlest little sis, I love you! However, Kevin Rudd, Australian Prime Minister, came up trumps with a gift that got me scratching my head: An zoo enclosure named after the Royal babe, and $10,000 worth of research funding in his name to save an endangered species called the bilby. $10,000 doesn’t go far in research, but it’s very generous nonetheless. 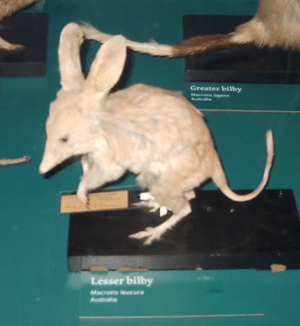 But why choose the bilby rather than the Northern hairy nosed wombat or the terminally cute Mountain pygmy possum? Out of curiosity, I googled the little critter. It is a marsupial, and is really rather cute. But what is the link with the Royal baby? Once I’d seen the picture, I couldn’t help wondering if Australia wasn’t quietly poking fun at our Royal family. After all, check out these pictures and judge for yourself: on the left is a Bilby (stuffed), and on the right, Royal Babe’s grandfather (unstuffed, of course). Photo credit for both photos: Wikipedia. I may have a twisted mind, but I find that there is a disconcerting similarity between these two pictures. My suspicious mind is wondering whether Australia wouldn’t be having a quiet laugh at the Royal family’s expense….. What do you think?